Keep it simple yet stylish while you travel carrying the Marc Jacobs® 13" Commuter Case. Commuter case made of saffiano leather with a soft polyurethane coating. Signature Double J hardware logo in a golden sheen. Removable and adjustable webbing shoulder strap for desired carry features playful polka dot pattern. Front-wall exterior features single slide compartment. 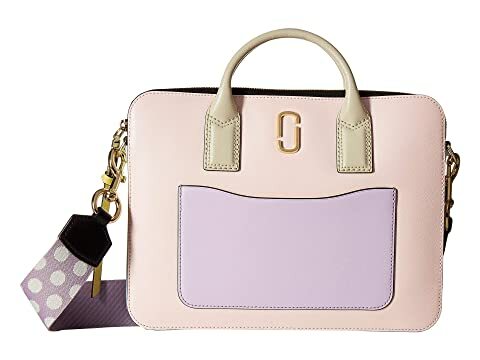 We can't currently find any similar items for the 13" Commuter Case by Marc Jacobs. Sorry!